BDB Waterproofing recommends crawl space encapsulation to protect your crawl space from the outside environment. It’s important to understand that what happens in your crawl space can significantly affect the rest of your home, as well as your family’s health. Without proper sealing through a crawl space encapsulation system, moisture can damage wooden support beams and floor joists under the home. When this happens, certain areas of your floors may not feel level when you’re walking on them. That’s because the wooden materials have started to deteriorate, which can damage the structural integrity of your entire home. Also, moisture here can trigger mold and bacteria growth. Mold can make your home smell musty. It can cause a variety of health issues, including headaches, fatigue, cold/flu-like symptoms, asthma attacks, allergic reactions, skin rashes, respiratory problems, coughing, sneezing and more. 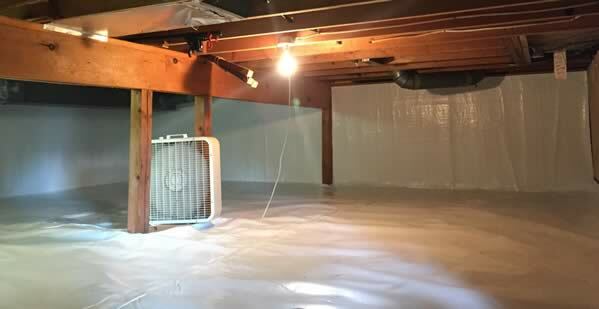 The crawl space encapsulation process uses vapor barriers, floor liners, sump pumps, and sometimes dehumidifiers. All of these products will help to create a dry environment that is free of mold growth, pests and wood damage. They will also improve your energy bills and air quality by stopping the transfer of unconditioned air between the crawl space and your house. To fix sagging floors and joists, BDB Waterproofing can install stabilizers and special crawl space support beams which will be able to hold up the weight of the first floor of your home, and level it out. This helps to preserve the structural integrity of your home, and it can prevent any additional sagging. Crawl space encapsulation begins with us installing a vapor barrier and floor liner. These are thick, plastic materials that will be securely attached to the walls and ground under your home. This will permanently seal the space so moisture, humidity and unwanted pests can’t get inside to cause problems. In addition to installing vapor barriers and a sump pump, BDB Waterproofing may also recommend installing a dehumidifier in your crawl space. This is especially effective in stopping the growth of mold and harmful bacteria. A dehumidifier can eliminate the musty smell in your home and improve air quality, giving your family a cleaner and healthier environment. 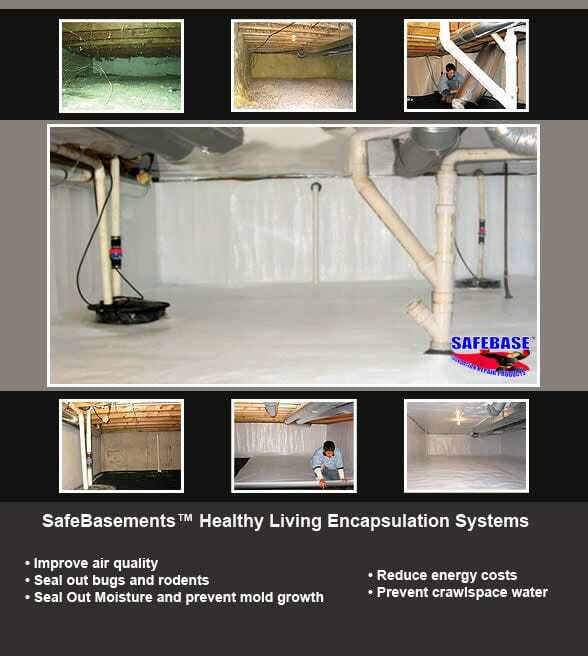 For more information about our encapsulation process, or to schedule an appointment for a consultation with our team of crawl space professionals, please feel free to contact us today.